Buy high heel pumps, maxi dresses and Bright jewelry online this summer 2014! Summer is coming up soon in most countries and what better time to shop for summer friendly items than now? Summer fashion for 2014 has lots of stripes coming in, Maxi dresses with strips are the best way to flaunt them during summer. Feeling a little chill? Have your denim jacket ready! You would have seen the stripped maxi + denim jacket trend a lot by now. This could be paired with flats or flip flops but feeling dressy? Pair them with high heelpumps! Accessorize with minimal jewelry but incorporate Bright’s for sure! 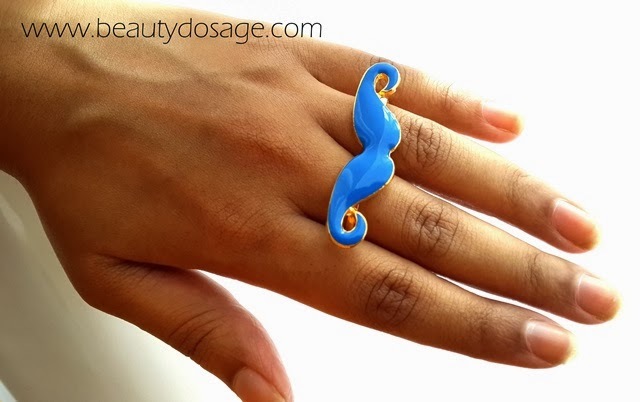 Today I’m wearing a bright blue moustache ring to amp up the look! About the company: MartOfChina.com is a China-based global online wholesaler that is a worldwide business leader in selling blue-ribbon cheap fashion clothing. From the moment we founded MartOfChina.com, our vision was to empower people worldwide in buying and selling online.